What is a Contractor’s License (Residential General Contractor) Bond in Arizona? A Contractor’s License (Residential General Contractor) Bond is a type of license bond. The purpose of the bond is to protect the state or governmental entity for certain things, such as the payment of taxes. You can also Apply On Line by clicking on this link. How Much does a Contractor’s License (Residential General Contractor) Bond Cost in Arizona? Just fill out the form below and we’ll have you a quote in a few hours – at the absolute best possible rate. How do I get a Contractor’s License (Residential General Contractor) Bond? We make it easy to get a Contractor’s License (Residential General Contractor) Bond in Arizona. Fill out the form above and we’ll get right on this for you. How Does this Process Work in Arizona? Then we’ll get the Contractor’s License (Residential General Contractor) Bond right out to you. Easy. We’ll work as hard as possible to get you the bond that you need in AZ. You need the government’s approval before you can start a company or professional operation that involves making profit. It’s a guarantee to your customers that your business or professional service complies with the governing rules authorized by the government. These laws and regulations are set to protect the consumers you could serve. Consequently, to prove that you are running an honest, legal business, you need a license. In addition to getting a license for your company to operate, you should also get a license and permit bond to help you understand further the laws and consequences. Keep in mind that the government’s regulations and rules are business and strict, as a result it’s essential to adhere them to avoid any quandaries due to failure to comply. 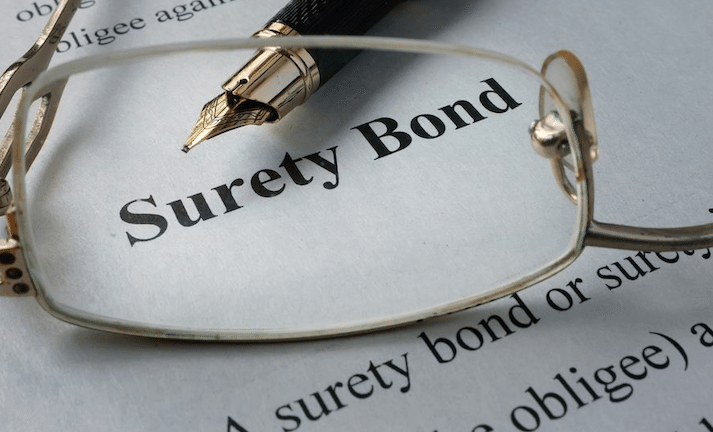 This article will explain all the important information about the surety bonds. Here you may also learn the useful ways about how to get a permit bond. There are different kinds of license and permit surety bond. Fundamentally, the type of bond that you will need may depend upon the nature of your company. The type of bonds differ according to purpose and how it may protect the clientele. License and permit bond is a means for the government to make certain that you run your business as expected. If you fail to conduct as you have to, the customers can report your bond, which will result in investigation, which in turn leads legal action. Understand that non-compliance may result in possible loss for your business simply because you have violated the regulations and rules that cover your company or professional processes. Never try to violate any laws. Another common type of surety bond is performance bonds, which is meant to protect the clients’ project. In an infrastructure project, for example, delivery of quality project result is necessary. Meeting all specifications requested by the consumer is part of the quality services. The advantage of having a performance bond is that the customer can be able to recover specific amount of the whole project cost because of the contractor’s non-compliance. Particularly, the contractor has no apparent reason not to be able to supply the project result prescribed in a contract agreement, which is secured by the performance bond. It’s as he or she has the skills, knowledge and tools to execute the operation. But, in some cases, contractors fail to supply. But because of the performance bond, there won’t be a substantial loss on the client’s part. Acquiring license bonds is essential to all contractors involved in construction business. It serves as a protection to the consumers that they’re going to get the result they need as the contractors are mandated to follow. One advantage of using bonds is the assurance of getting a systematic flow of work in operating organizations. To be able to make certain that their business functions is dependable, all business experts are required to follow the set of rules given by the government. Failure to that, the client can sue the bond, which means that the government will take legal action and compensate the consumer. The amount of insured portion of the project is indicated in the bond. Should the contractor fails, the consumer will be able to recover this given amount. Therefore, bonds serve as the clients’ protection that their projects are insured. Also, the contractors are locked to this insurance. The government provide specifications on the regulations that must be followed concerning infrastructure projects, and these should be adhered to totally. For example, the government can restrict contractors from building houses with more than two floors. The permit bonds may help you understand the extent of the construction project that you can only provide to your customers. Following the right procedures in acquiring license and permit bond is the easiest method to obtain it. Below are the easy methods involved in the application for license and permit bond. Filling out the application form is the first step that you need to do. You may find this online application form through an authorized issuing company that’s highly recommended by many users. Before you submit the online application, be sure that you have checked the data first so that you’ve got verified its correctness and completeness. Once you get the form, you will need to only use the honest info when filling it. Next step after submitting the application is the quote, which indicates the amount you need to pay. You will make payments with respect to the quote you receive as response. Take note. It is only following the application form has been successfully submitted that you are going to be able to acquire a quote. Finally, you should pay the surety bond after obtaining a quote. You could only obtain a license and permit bond after you have paid the issuing company. When filling out the form, do not lie. It is because doing so will only result in issues, such as legal action. Keep in mind that the government is skeptic with regards to legal documents. Even if you have poor credit scores, try using the appropriate information. The rates charged are different for different bonds and different companies. But, it does not cover the entire project cost, only a relative percentage. The most common rate is about 1% of the insured portion stated in the bond. The bond will act as a license for your customers. This is why you should pay money for a surety bond in behalf of your customers to protect their right in obtaining a sufficient service or project result. When planning to engage in construction projects, it is important to find out all the regulations of the government. One of these is the need for a license and permit bond, which is essential to make certain that you gain your clients’ trust and confidence for the items and services that you offer. See our Arizona Contractor’s License (Residential Specialty Contractor) Bond page here.